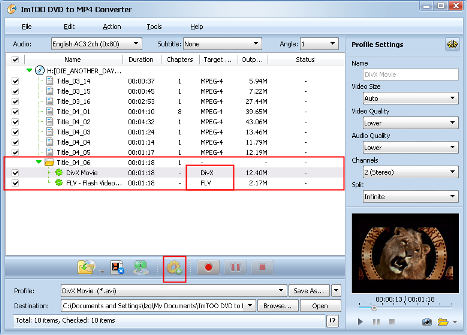 This tutorial shows you how to convert DVDs including DVD disc, DVD folder, and DVD IFO file to MP4, MPEG4, AVI, DivX, MPEG, FLV, MP3, AAC, M4A, etc. 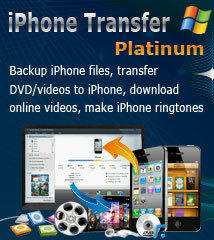 video and audio formats for your iPod, iPhone, PSP, PS3, Apple TV, iRiver, Zen with ImTOO DVD to MP4 Converter step by step. Click Open DVD button or File>Open DVD/IFO Files, select a DVD (or DVD Folder or IFO file) in the dialog box that opens, and load it. The Loaded DVD's information, such as chapter, title, etc., will be shown in the file list. After loading a DVD, if the network is connected, click Get Disc info button in the toolbar, or click Edit>Get Disc Info in the menu, ImTOO DVD to MP4 Converter will retrieve loaded DVD information from Web database, and display the information in the file list, such as title name and chapter name. 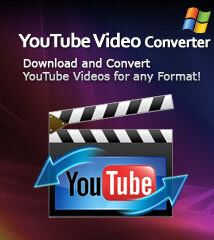 Select a video file in the file list, click Play button in the video preview window. When the video jumps to the image you like, click Snapshot button under the preview window to store the image in the snapshot folder. Tip1: To adjust output settings, you can set the detailed parameters of output format in the profile panel of right window. The customized profile can be saved for future use by the Save As button beside Profile box. 1. Select a file in the file list. 2. 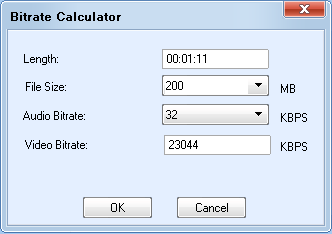 Select an output format in the Profile. 3. Click Add profile button, it will create a profile directory under the selected file automatically. 4. Select a new profile, click Profile dropdown button, and select a new output format from the list. 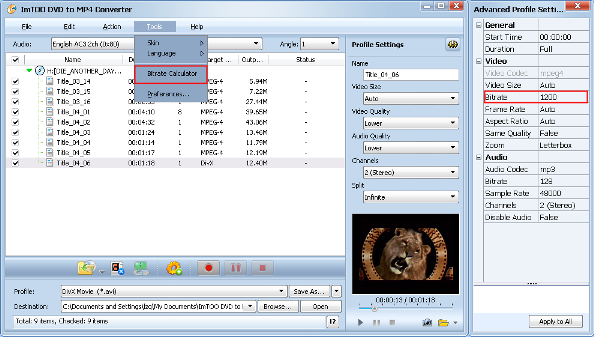 ImTOO DVD to MP4 Converter provides customizing the size of the output file. Tip2: You can choose to run it background at File> Run Background. How to put movies on iPad?